Abundant land holds promise for agricultural prosperity in W.Va. Pictured: Hilllsboro in the Little Levels. 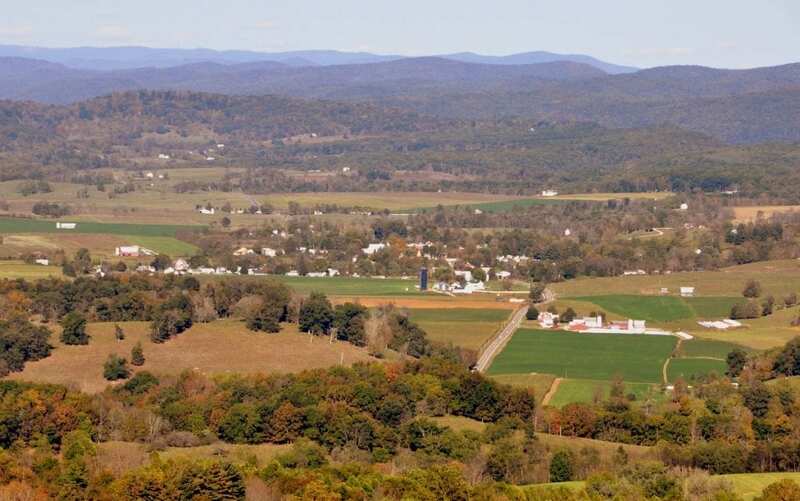 West Virginia’s abundant land holds promise for agricultural prosperity for the state and its people, according to Commissioner of Agriculture Kent Leonhardt. To ensure this valuable industry thrives for years to come, agribusiness owners, retailers and other stakeholders are being asked to give their input. The West Virginia Agriculture Advisory Board announced the first step in developing a five-year, strategic plan for agriculture. A statewide survey, as well as market analysis will be conducted to address the challenges and opportunities facing the industry. Leonhardt relaunched the board in July of 2017 which includes Governor Jim Justice and the Dean of WVU Extension Service Steve Bonanno. “We know that agriculture has the potential to be a significant economic driver for our state,” said Dean Bonanno. “We have resources to significantly change farming and agriculture in our state, but those resources have not been put to good use. Paper surveys will be available at partner agency offices and at the State Fair of West Virginia. Three survey takers will be selected at random to win a registration to the Small Farm Conference, registration to the Women in Ag Conference, or a Farm Bureau membership. The West Virginia Agriculture Advisory Board Steering Committee includes representatives from the West Virginia Department of Agriculture, West Virginia Farm Bureau, USDA Natural Resources Conservation Service, West Virginia Conservation Agency, WVU Extension Service, WVU Davis College of Agriculture, Natural Resources and Design and West Virginia State University Extension Service.